BioTrust donates funds directly to the MSFC to pay for trainers who work with MS participants in the Challenge to be part of the 12 week MSFC program. Click the logo at the top of the page to read more about how BioTrust is supporting the MS Fitness Challenge. 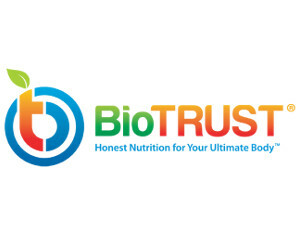 Visit BioTrust’s website and order products through the MSFC. Every sale gives money back to MSFC to help people with MS live a lifestyle of health & fitness. THANKS TO BIOTRUST FOR ALL THEIR SUPPORT.